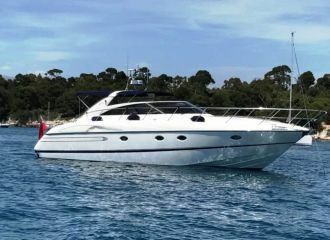 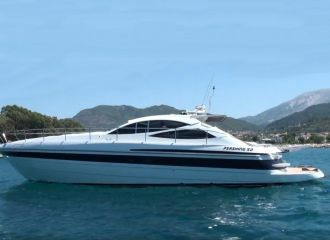 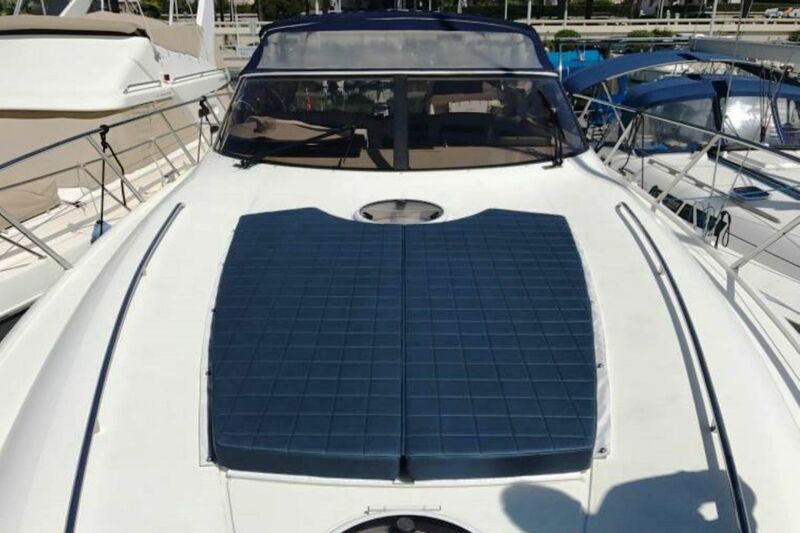 This recently refitted Princess V50 boat is perfect for cruising along the French Riviera. 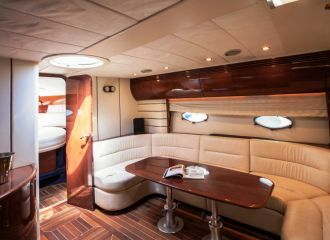 The performance of this boat will take your breath away! 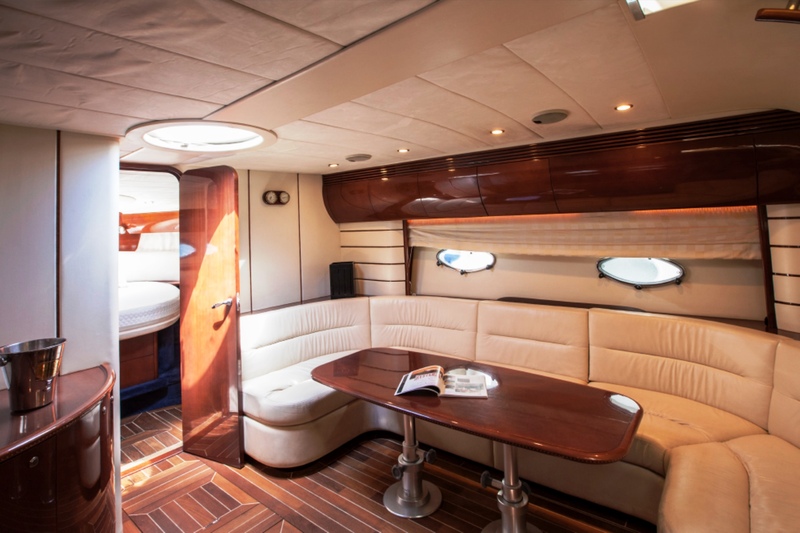 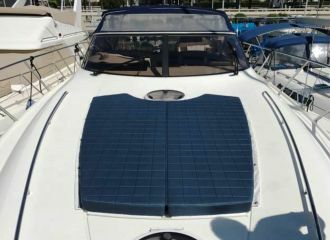 Onboard guests can relax and choose between the seating or the sunbathing areas. Ideally departing from Cannes, this Princess V50 yacht will comfortably accommodate up to 9 guests onboard for a day yacht rental in Cannes and the French Riviera.